Your Resort Breakfasts Are Delicious Traditional American Breakfasts With The Menu Seen Below. You May Dine Inside The Restaurant With Views Of The Resort's Beautiful Grounds: (Palm Trees, Tropical Greenery and Plumerias, etc.) 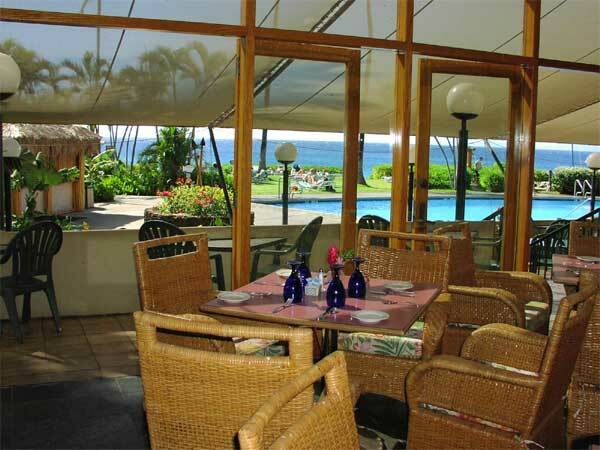 - Or - Dine Outside In An Open-Air Dining Setting With Views Of The Pool And Famous Kaanapali Beach. Dine Anytime During Normal Serving Hours.